Greenland is covered with ice, and Iceland is very nice. This famous quote from the 1990s cult classic “D2: The Mighty Ducks” helps paint a picture of what we’d expect to see in Greenland – vast stretches of ice and glaciers as far as the eye can see. And mostly, it’s correct. The country is covered by the Greenland Ice Sheet, a nearly 1,500-mile-long body of ice that covers about 80 percent of the nation. If that same chunk of ice covered the United States, it would stretch from about New York to Miami and from the Atlantic Ocean to Detroit. That’s a massive section of ice. But unfortunately, it’s shrinking. Greenland’s climate generally has allowed for the ice sheet to melt and retreat in the warmer summer months and then advance again once Greenland’s temperatures drop below freezing in the winter. However, warmer air and ocean temperatures mean a longer summer season and not enough time to replenish the ice and snow that evaporated. 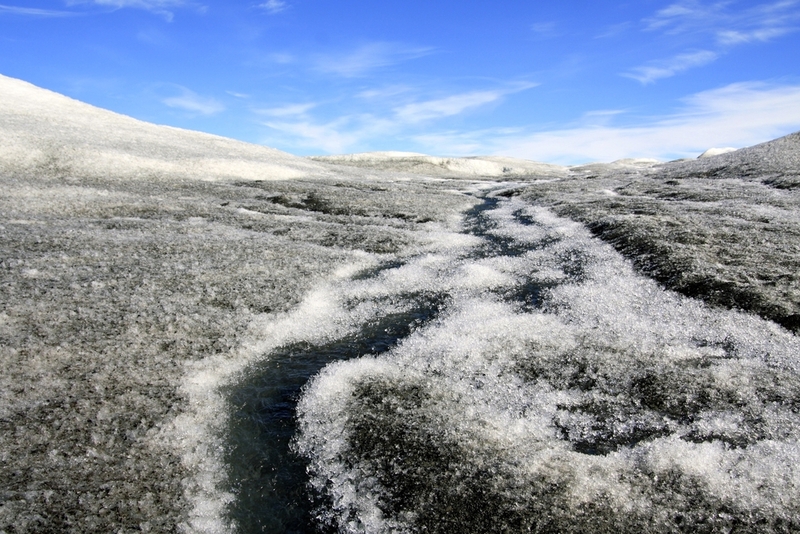 While the warmer summer months have created a boom in tourism over the past several years, milder temperatures are also causing the Greenland Ice Sheet to melt at an alarming rate. According to a recent study, the ice on Greenland has been disappearing since 1900, and yearly ice loss has doubled since 2003. And the more the Greenland Ice Sheet melts, the greater impact it will have on the ocean and climate worldwide. Here are three ways the melting ice sheet will affect people around the world. The melting ice sheet in Greenland will have a significant impact on sea levels around the world. Researchers are still debating the exact figure, but there’s a general consensus that if the entire Greenland Ice Sheet melts, it would raise the world’s oceans by about 25 feet. This would flood coastal and low-lying cities around the world and put millions of people at risk. Even if the entire Greenland Ice Sheet does not melt, just a portion will cause critical damage to habitats along the coast. Destructive flooding, erosion, and soil contamination would be seen even if the sea level rose by just a few feet. If the Greenland Ice Sheet melts, it would add millions of gallons of fresh water into the ocean. The extra fresh water would dilute the salt water as it spreads, harming habitats and potentially causing a mass migration of fish. The clockwise ocean current circulation around the island means most of the fresh water would end up in the Labrador Sea, between Greenland and Canada. This influx of fresh water could greatly impact the fishing grounds in the area and play a large role in food supplies and the global economy. The Greenland Ice Sheet could also have a major impact on the world’s climate and weather patterns. When the fresh water from the ice mixes with the salt water from the ocean, it could alter the Gulf Stream and other water current patterns in the North Atlantic. This change could create a ripple effect that would drastically change circulation patterns across the globe. In addition, melting ice would shrink the vertical profile of the Greenland Ice Sheet. On average, Greenland is covered by more than 8,000 feet of ice, which creates atmospheric patterns similar to effect that mountain ranges have on the weather. If the ice sheet reduces in size, wind and fronts would be able to move through the area more freely, directly impacting weather systems in Europe. The time to act is now. NASA statistics show 16 of the 17 warmest years on record have occurred since 2001. While it may be true that the Greenland Ice Sheet is melting at a faster rate nearly every decade, we still have a long way to go before the entire sheet disappears. This means global communities have time to rectify the negative impacts caused by rising temperatures and climate change. Many world leaders have promised to reduce greenhouse gas emissions, and countries around the world are invested in clean, renewable fuel options. The change will not happen overnight, but it appears we’re taking a step in the right direction to reduce the melting of the Greenland Ice Sheet and its devastating impacts on sea levels, climate, and the global economy.